Marisa has spent many years developing her own style of Bead work that incorporates Native Elements of bead working styles blended with current fashion trends. 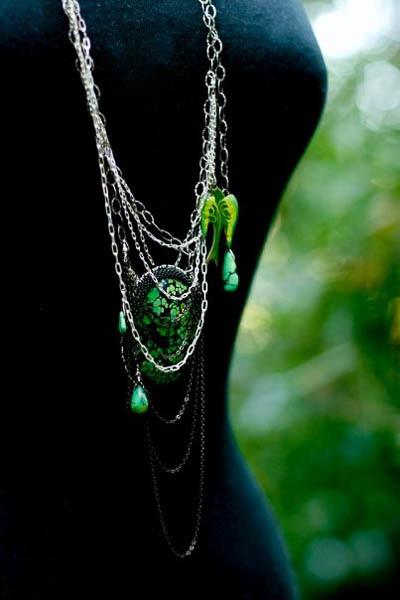 Marisa Youlden is a jewelry designer from the San Francisco Bay Area in California. She has deep roots in the Bay , however she has currently established herself in Ashland Oregon where she hand makes all of her pieces in her home studio while enjoying all the benefits of living and thriving in Southern Oregon! Marisa is a self taught Bead Worker and Metal Smith. She started her love affair with jewelry as a child watching her Mother, a Goldsmith, doing Lost Wax Casting. Watching her Mom design, and helping her find the tiny gem stones she would occasionally drop on the floor is where Marisa began her obsession with gemstones! There were hours spent digging through piles of tumbled stones in the window display of a lapidary center in San Francisco as a child… The obsession took a firm grip on her!!! performers such as Shakira (Hips Don’t Lie), Pink, The White Stripes and many more… Marisa has happily settled into her Oregon life and is currently creating lots of jewelry to compliment an everyday lifestyle, or pushing her limits to create outlandish pieces for performers and show people all over the World! Marisa has spent many years developing her own style of Bead work that incorporates Native Elements of bead working styles blended with current fashion trends. 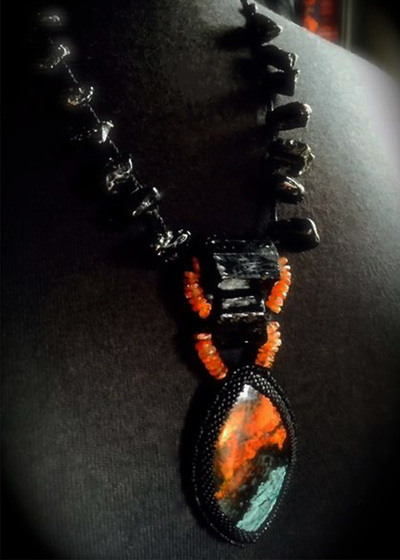 She is well known for her use of Semi Precious GemStone Cabochons set in Peyote Stitched Seed Beads. Every bead is stitched by her hands. 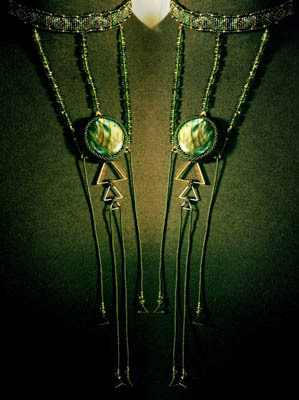 She also dabbles in Metal Smithing, Macrame, Leatherwork, Collage Heirlooms and any other style of craftwork that suits her design interests. Her designs are always changing with her desire to keep growing and learning new tricks! There is an element of Timelessness as well as being right on Time in Marisa’s work. 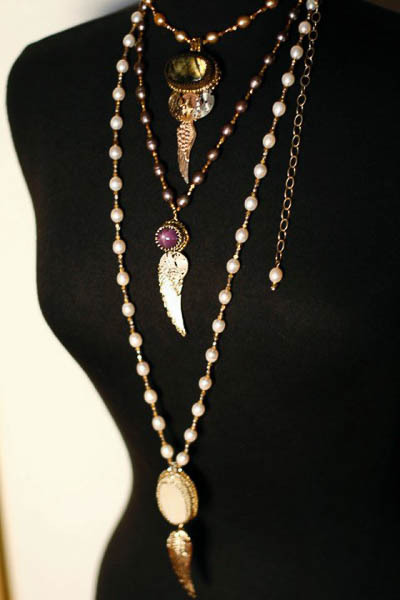 Marisa is offering jewelry pieces from a variety of her current collections available on this website. She also offers an opportunity for you to participate in the design elements of a custom piece tuned to your personal interests and desires! You get to be the designer if you like as well! Please contact me through the CONTACT section to inquire about custom work and availability .